Fast Boat – Cheap and fast. So fast in fact that you are literally advised to wear a crash helmet in case you hit one of the thousands of rocks that crown just out of the water or hide slightly below the surface. It is a loud, uncomfortable, bone-rattling and adrenaline-inducing experience that gets you there in only six to eight hours. This might be fun for a few hours but I can’t imagine spending an entire day sitting on a hard bench in the blazing sun, listening to the deafening roar of the engine and moving so fast that the shoreline is a blur and only thing you see is rapidly approaching rocks, whirlpools and the wreckage of speedboats that have gone before you. I wanted to soak in the scenery; not be frightened of smashing into it. I want adventure in my retirement but also live to enjoy it. Public Slow Boat – Cheap and crowded. These boats are designed for up 70 passengers but I have heard that during high season they often crowd more than 100 plus people on board and you may be tripping over cargo of dubious provenance. 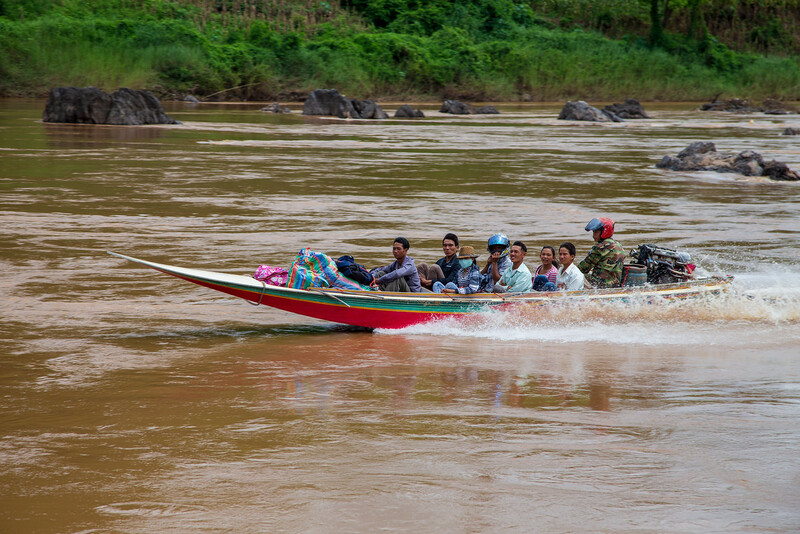 These boats, uncertainly maintained and equipped, are presumably less likely to crash and offer better views of the scenery, provided you get to the dock in Huay Xai, Laos early enough to secure good seats near the rail. 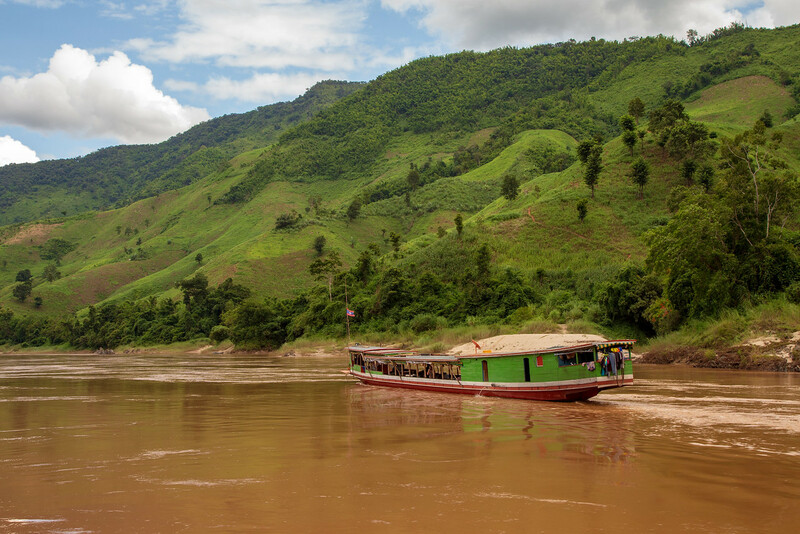 This is the most popular way to travel from Chiang Khong, Thailand to Luang Prabang – by locals and foreigners alike – and I understand it can be quite fun if you are lucky enough to get in with a good group. 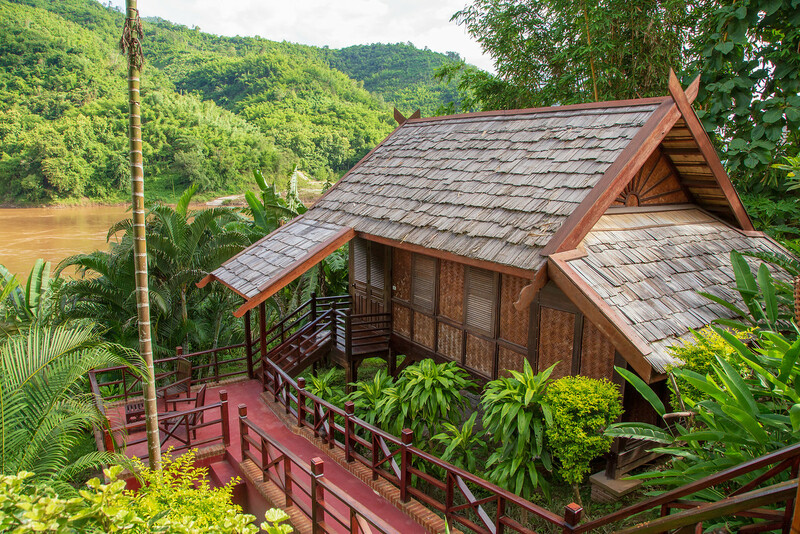 Be prepared to find your own overnight accommodation at Pak Beng – the halfway point on the two-day journey – and pack lunch and a lot of snacks. Private Slow Boat – Expensive but luxurious. 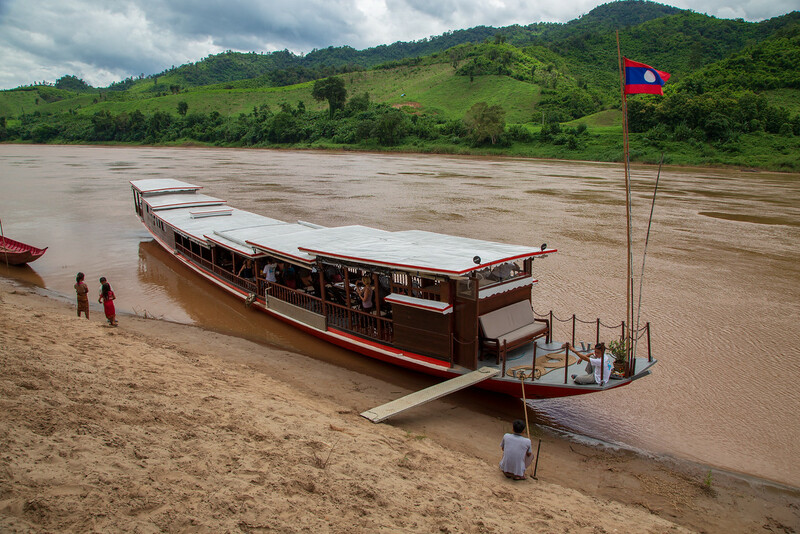 These well maintained, purpose built Mekong River barges with steel hulls and quiet 400 HP engines, have comfortable chairs from which you can casually watch life along the river and two western style toilets. There is a bar and meals are provided. There are guides onboard and the boat makes stops at some interesting places along the way. 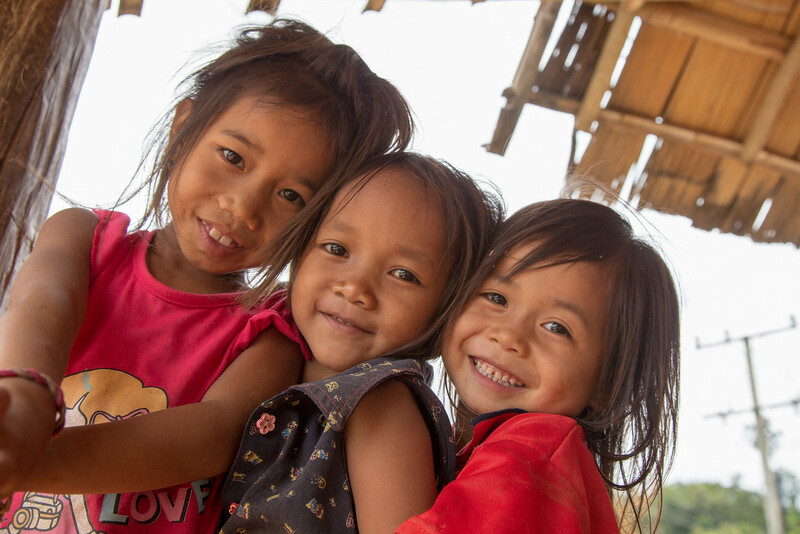 Another BIG benefit is that your accommodation at the halfway point in Pakbeng, Laos is provided. The downside is that you probably won’t be able to meet many locals, and possibly the price. When the folks from Luang Say Mekong Cruises, the preeminent cruise operator on the Lao Mekong, offered to sponsor our two day journey from Chiang Khong, Thailand to Luang Prabang on their private slow boat (normal cost is $405 USD per person in low season to $531 USD per person in high season) we jumped at the chance. Not only would we be able to begin our adventure in style, we would also be able to experience the infamously rough river from a solid boat from an easy chair. Not bad! We arranged to have a tuk-tuk (auto-rickshaw) pick us up at our hotel in Chiang Khong at 7:30 to take us to the Laotian border where we met our English speaking Luang Say representatives at their table just outside of immigration. They said they had been expecting us and gave us all the forms we needed to cross the checkpoint. They took our bags, pointed us to the appropriate window and said they would meet us on the other side. After a Thai Immigration official examined our passports and exit documentation and stamped everything in the appropriate places we passed through to an air-conditioned bus in the “no man’s land” between Laos and Thailand and were then driven across the Mekong River to the Laotian Immigration office. There we passed our passports and papers, more examination was done, money for visas changed hands, more stamping was done and we had shiny new thirty-day Laos tourist visas. We were briefly reunited with our luggage to pass through Laotian Customs where the official gave it nothing more than a cursory glance then it was recollected by a Luang Say representative to be taken to the boat. It was as easy as most border checkpoints but if you haven’t done it a few dozen times it can seem intimidating. It was nice to have a representative of the cruise line standing by to help. We were officially in Laos. From there we were shown to a songthaew (small shared taxi trucks) that drove us along bumpy roads through the scruffy town of Huay Xai to the port where our boat was waiting. Our boat, the purpose-built, steel hulled, 34 meter long Mekong river barge stood out among a flotilla of less reputable looking boats at the foot of a muddy boat ramp. There were a few loitering, disheveled but good-natured men on the quay laughing, drinking beer and smoking cigarettes at 8 AM and a few bedraggled street dogs nosed around for scraps as we walked on an unsteady plank onto our ride; the “Pak ou-3”. There was a reassuring metallic clang as we stepped onto the bow. Astern was a surprisingly large salon with dark wooden floor planks and high wooden railings. There was an array of wicker sofas, armchairs and a number of heavy teak coffee tables. There was a well-stocked bar at the back and faded maps on the bulkheads describing our route on the “Mother of River”. Our English speaking guide Vuelee (there were French and English speaking guides on board) introduced himself and asked that the English speakers gather near the bar at the back of the salon for a quick briefing about the trip and the sights we would see. Our fellow passengers – were an assorted lot of about 20 – a mix of mostly French, English and Australians. While we were talking we could see our bags being loaded and after less than ten minutes from our arrival we were off; sailing on the Mekong! During this season, the wet season, the Mekong River becomes swollen with rain and runoff from the Himalayan Mountains over a thousand miles to the north. It is a latte colored confusion of rocks, rapids, and whirlpools that hastily pushes soils from upriver down to the fertile Mekong Delta in southern Vietnam. Even though there was a sign that said: “Please be careful boat can sway in the rapids” because of its shallow draft the Pak ou-3 glided over even the most intimidating rapids with a minimum of roll and yaw. The mood on board was semi-festive but controlled because everyone knew we had two days of floating ahead. The limitless supply of Lao coffee, iced water, delicious baskets of crunchy fried banana and sweet potato crisps was very welcome. As we clicked off the miles a kind of languid laziness began to take over. It was one of those experiences where minutes turned seamlessly into hours and I could imagine doing this for days. Everywhere you looked the scene was like something out of a Joseph Conrad novel. Water buffalo lounged mostly submerged beneath the waters in the relative calm of creek inlets while shorebirds, startled by our passing took to flight. Children along the river’s bank, climbing in flooded trees, would wave excitedly as the boat passed before jumping into the turbulent water and riding the current downstream to the next tree. I was about to snooze off in a chair on the foredeck when Vulee found me just in time to show me working elephants playing in the water by a primitive logging camp. The sun was high and the day was beginning to get hot when we pulled ashore at a speck of an indigenous Tai Leu village on an embankment overlooking the river. There wasn’t a breath of wind to disturb the dusty streets and anytime you saw something moving it was toward shade. Most of the village’s homes were constructed of woven wooden panels with wooden shake roofs but the smarter ones had tin. The town had just recently gotten hooked into the electrical grid so like so many places fresh to modernity; there was a collection of satellite dishes distributed between the homes. It seemed that most of the men were gone, logging in the hills, but of the few people, we did see, mostly children, looked at us with a friendly combination of shyness and curiosity. It was incredible how stepping just a few hundred meters from the boat had brought us to this different world. We didn’t linger. We felt welcome but 20 strangers wandering through any neighborhood would be an imposition and we didn’t want to abuse hospitality. Besides, we knew that lunch was being served back on the boat. Lunch, which was set up on the bar buffet style, consisted of delicious Northern-style sausages, a choice of curries with rice and what was to become my favorite Lao meal, steamed fish from the Mekong wrapped in banana leaves. During the meal, the passengers began to open up and we met some very interesting travelers. Even though we were all from different part of the globe traveling through these remote places brings people together, if only for the duration of a trip. The rest of the afternoon was a blend of reading, in my case Graham Green’s The Quiet American, snoozing and watching the mountains, the wildlife and life in general glide by; occasionally punctuated by a speedboat zooming ahead of us. I loved my first day in Laos and the new slower pace. 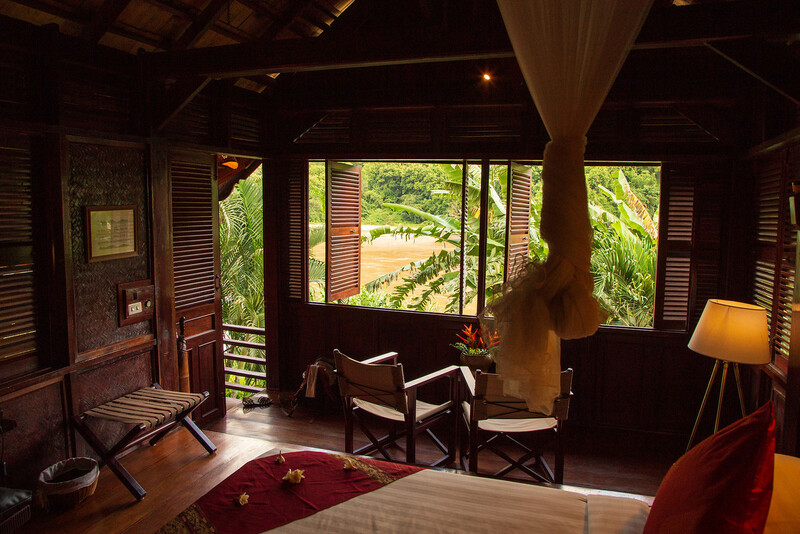 It was almost a surprise when we arrived at the Luang Say Lodge, near the town of Pakbeng. So lush and green and love those boats – Wow! My wife and I took a public slow boat from Huay Xai in Laos Luang Prabang with a night stop in Pak Beng, along with hundred or so young back packers and a few older “flash packers” (their name for those who hotel it instead of doing hostels) Loved the trip and will do it again. Currently in our 5th year on the Riviera Maya in Mexico but plan to wander off for some travel years after a recent 10 weeks of back packing SE Asia. Really enjoy your blog. Keep up the great work. Hey Pete! 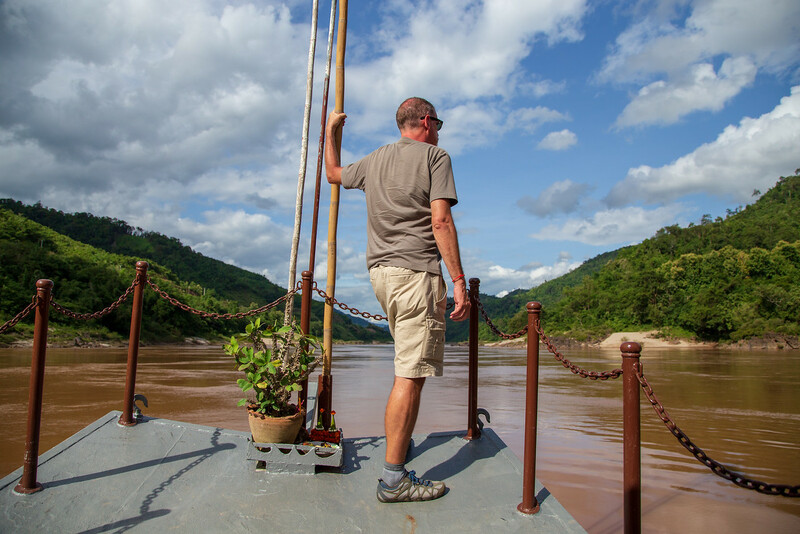 We found the trip on the Mekong fascinating. So much so we moved to Laos for a few years. I also lived on the Riveria Maya for a while in Xcalak. I know it is changing, but I loved it too. We plan to hit the road with what we arrived in Mexico (from Canada) with. Two backpacks and two suitcases, which will once again, contain our worldly possessions. A month or two in various places in SE Asia will allow us to get a feel for what it would be like to live there. We are also interested in spending time in Portugal, Spain and the Greek islands. At 65 and 62 respectively, we know there is more life behind than in front, so we want to make the best of it. Can’t see us sitting around gathering dust when there is so much to see and do. We will continue to follow your blog and get inspiration for our plans. I am also a hobby photographer and love your photos.